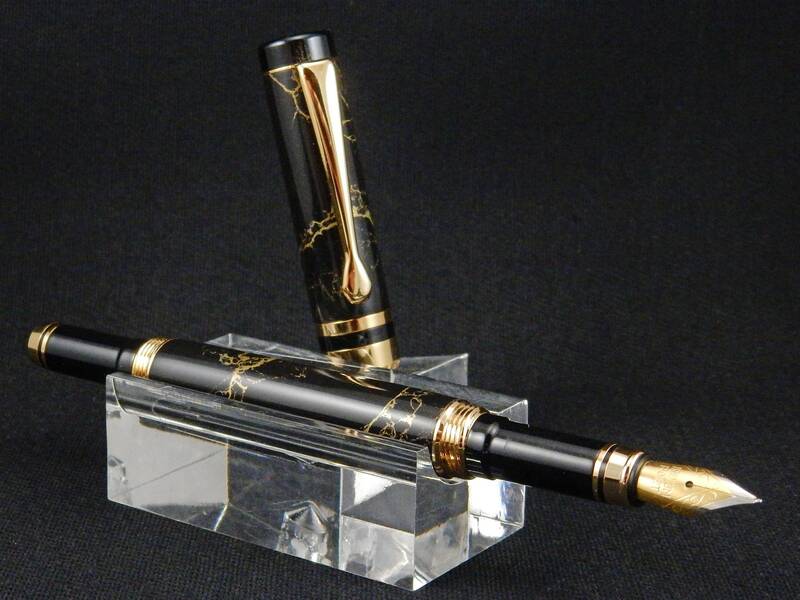 This stylishly traditional pen is modeled after a line of Parker pens made popular in the Roaring 20s. It is hand-crafted from stabilized white turquoise stone, polished and finished with 24k gold fittings. 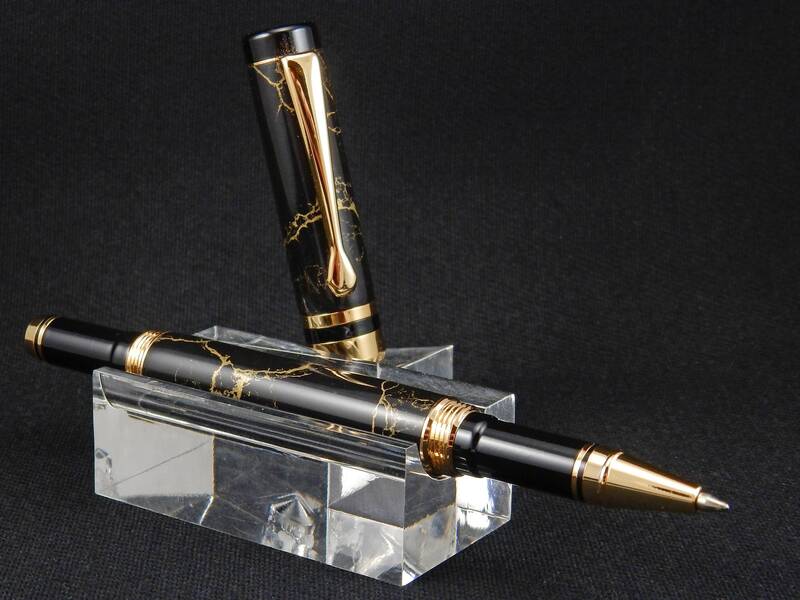 The pen has a twist on cap, which posts to the back end of the pen in the same fashion. As a fountain pen, an upgraded Heritance nib is installed and is available in either Fine Point and Medium Point. Please make your preference know in the Notes during checkout. The pen uses either pre-filled, disposable ink cartridges (international standard size) or refillable reservoir (often called a converter) for use with your choice of inks. A pre-filled disposable cartridge AND a refillable reservoir accompany the purchase. As a rollerball, the pen uses either a Schneider or Schmidt (or compatible size) rollerball refill.